Looking for Subaru Impreza parts at the right price? We’ve got what you need, as we stock just about every part that can be removed off an Impreza, Strong for Subaru stock parts for all types of Subaru Impreza from 1.5L to 2.0L turbo charged WRX Sti models. Most of our parts are used parts that have been tested (where possible) and covered by a warranty. We do also stock a range of new Subaru Impreza parts. 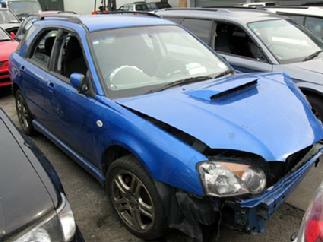 So whether you’re after new or recycled Subaru Impreza parts, we can help you! All of our Subaru Impreza engines and transmissions are test-driven by us whenever possible before removing them for sale. This gives you piece of mind when purchasing your Subaru Impreza engine or gearbox from us. 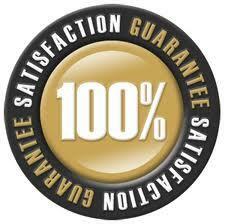 Plus all of them are guaranteed – you can read more about the parts warranty here. All Impreza parts are guaranteed! 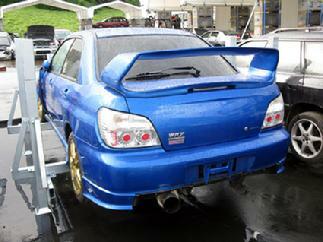 Huge range of Subaru Impreza parts! Strong for Subaru have a good supply of used aftermarket Subaru Impreza parts such as coil over shocks, Subaru sway bars, strut braces and other Subaru Impreza Parts. You can also get standard Impreza parts from us, and we can usually also supply parts that closely match you Subaru Impreza’s colour. For example if you need a red Impreza door, Strong for Subaru will probably have one close enough to match your paint. This may save you quite a lot of money in painting costs! So if you need anything for your Subaru Impreza from a seat belt to a cigarette lighter or even a complete Sti engine kit or set of alloy wheels then please contact Strong for Subaru. We’ll do our best to supply you with a quality used or new Impreza part at a great price. This car has LH side swipe damage on the LH side. It has a very good low km engine and 5-speed gearbox. All parts other than the LH side parts are available off this car, we have ten more of this model in our yard at the moment and hundreds of parts in stock as well.Phone us on 0800 634-0065 or call into our Auckland showroom during business hours! This was a nice car until the accident; however there is no engine damage! We have purchased a lot of these cars as parts in Japan as well so we have a good supply of all Impreza parts for this model in stock right now including engines, panels suspension and mag wheel sets along with interior trim parts. Phone us on 0800 634-0065 or call in to our Auckland showroom during business hours! This Sti has had a hard frontal accident and the engine has been damaged, the 6-speed gearbox is available and so is the Brembo caliper and hub set, good hi-spec interior in Sti blue is available as well. We are always buying Sti impreza’s from Japan and around New Zealand to keep up with demand. Phone our friendly team today! Free phone 0800 634-0065 or call into our Auckland showroom during business hours! Earlier model Impreza parts are no problem! This is one of about 50 Imprezas of this style that we have in our yard for parts at the moment so there are plenty of these Impreza parts available. We are still importing vast amounts of parts from Japan as well for this very popular Subaru model and we quite often get good accessory items as well such as boost guages etc.